To access New York Times you must first register while on campus at FIU. Go to the FIU Law Library website. Click “eResources” under the “Popular Services” menu. Select “N” for “New York Times” in the tabs. Select “New York Times” hyperlink. Follow the prompts to enter your information, including your @fiu.edu email address and a password of your choosing. 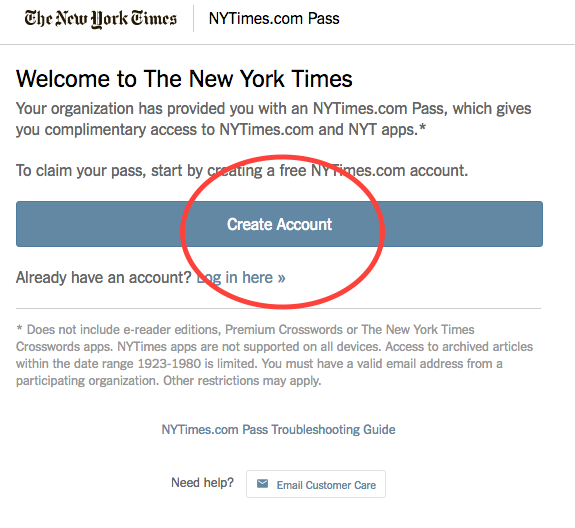 Use this login information in the future to access the New York Times online anywhere worldwide. You can also use this login to setup the New York Times app for iPhone or Android. If you have any difficulty accessing or signing up for New York Times, please let us know. The system will prompt you with an error message if your email is already registered; if this happens, please let us know.